I always find this amusing. Cuz I’m 13 and like fart jokes, I guess. 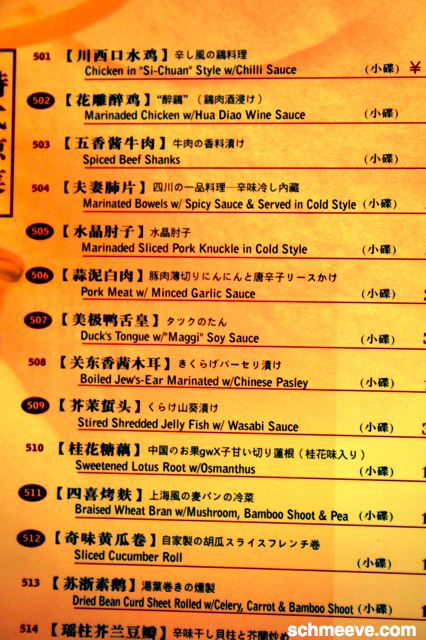 Today’s menu: Boiled Jew’s Ear and Marinated Bowels! #504 and #508 below. Apparently “Jew’s Ear” is fungus, and well, bowels are bowels. It’s beef intestine.